Just like the mobile recharge shops had grown up like mushrooms in India a decade back, SEO companies are also opening up at similar pace in recent times. With the shift of paradigm towards driving organic traffic to a website, almost every website owner these days looking for quality SEO experts who can give them the desired influx of traffic. Like any other state, Kerala also has quite a few names that claim to be offering the best SEO services. That is where the problem crops up. 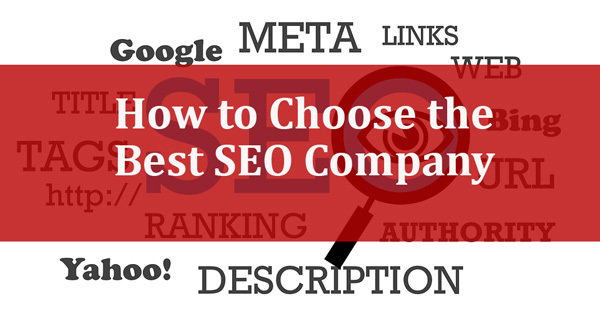 With so many companies to choose from, it becomes real difficult to choose the best SEO Company if you do not know how to judge one on the basis of certain parameters. That is exactly what this blog will put light on. SEO companies in Kerala that claim to take your website to the top of any search result page most of the times do that just to acquire the business. If anyone is claiming of doing that, you need to ask for detailed work plan that would be followed by them to achieve the desired page ranking. It is obvious that if you are reading this blog, you have some idea about the various modalities of SEO and that is why the explanation of the SEO company might not hit you like jargon bombs. Even if you do not have much idea about the technicalities, you asking them about their plan of action will send a message that you are not one of those clients who want to get SEO done for the heck of it. Check out if they are planning to do things the organic way or apply gray hat or black hat tactics. Doing the latter may cause more bad than good for you in the longer run. Also, you should ask them about their keyword management strategies. What method will they implement to determine the target keyword or how will they track the efficacy of the keyword are some basic things that the SEO company should be able to tell you without much ado. One important thing while finding the best SEO company is whether they are aware of the latest Google algorithm penalties or not. If they are not, that could have a huge impact on your website and might wipe it off from the face of Google. A company that claims to bring your website up to the top should be able to do that for their website as well. To know if they have been able to do so or, you may want to search for SEO companies with common keywords ‘best SEO company in Kerala’ or ‘which is the best SEO company in Kerala’. If your search returns the website of the SEO Company on the first page, you know you are going to land in safe hands. If it doesn’t, that does not mean that the company will not do a good job for SEO ventures though. They might still be able to meet your SEO requirements, but being able to place themselves on the top of the SERPs will be the acid test for any SEO company. While talking to SEO companies, you need to ask for their previous projects and customer testimonials. Which are the companies they have done SEO for? Were they brands or non brands? There is no credit in pulling a branded website up to the top, as that will attract traffic automatically. If possible, get in touch with the erstwhile clients of the company and take first hand feedback on the success rates of the SEO company and that is when you would understand if they are the best ones or not. Hopefully, with the above points you can get the best SEO Company in Kerala!